Premier Wen Jiabao will pay an official visit to Hungary, Britain and Germany from June 24 to 28, 2011. 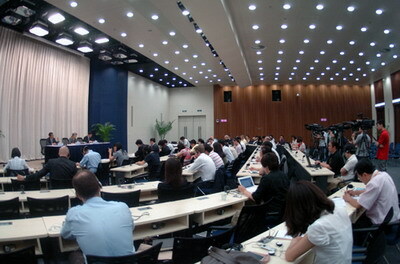 The Ministry of Foreign Affairs held a briefing on June 17 for Chinese and foreign media where Fu Ying,Vice Foreign Minister and Wang Zhiming, Vice Director-General of the Department of European Affairs, Ministry of Commerce respectively introduced the background, main activities and significance of Premier Wen's visit and answered questions of reporters. 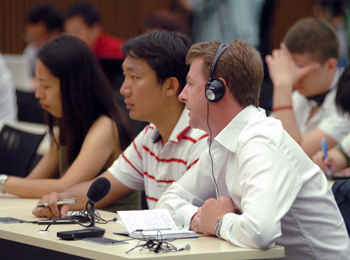 Tian Qi, Deputy Director-General of the Information Department, Ministry of Foreign Affairs chaired the briefing and nearly 100 Chinese and foreign correspondents were present. Fu said that at present the international situation remains complicated and fluctuating and world economy recovers slowly. The international community still faces numerous challenges and its awareness of jointly coping with them is strengthened. China believes that the 21st century should be a century of peace, cooperation and development. Confronted with global challenges, the international community, including China and Europe, should support and work closely with each other to promote common development. China-Europe relations stand at a critical stage in the course of development and China expects to increase understanding and expand cooperation with Europe on the basis of mutual respect, equality and mutual benefit. China is implementing its "12th five-year" plan, trying to speed up the change in economic growth mode, making strategic readjustment of economic structure, boosting technological progress and innovation, improving the livelihood of the people and building a resource-saving and environment-friendly society. It will adhere to the strategic policy of expanding domestic demand and continue to open up, which will create a vast space for China-Europe relations and for China's cooperation with all the three countries. Premier Wen's visit is a major diplomatic activity with Europe at the beginning of China's "12th five-year" plan period and aims at enhancing communications and cooperation with relevant countries. Fu noted that Premier Wen's visit is the first paid by a Chinese premier to Hungary over the past 24 years. China and Hungary enjoy traditional friendship. The two countries share strong desire and highly agree to push forward the bilateral cooperation under new circumstances. She indicated that the priority of the visit is to step up the bilateral pragmatic cooperation. During the visit, Premier Wen will hold talks with Prime Minister Viktor Orbán and meet with President Pal Schmitt and Speaker of Parliament Laszlo Kover. Hungary holds the rotating presidency of the Europe Union (EU) currently, and the visit will also be oriented towards Central and Eastern Europe. Together the two prime ministers will attend the Economic Forum between China and Central and Eastern Europe where Premier Wen will elaborate China's position and proposition on deepening the pragmatic cooperation with Central and Eastern European countries and convey the positive message that China expects to deepen the friendly and mutually beneficial cooperation with Central and Eastern European countries. Wang said that Hungary is one of the most important trade partners of China in Central and Eastern Europe. In 2010, China became Hungary's third largest trade partner and the bilateral trade volume grew by 28.1% to US$8.72 billion, hitting a historical record. From January to April 2011, the bilateral trade volume was US$2.97 billion, up by 16.1%. Hungary is China's largest import source in Central and Eastern Europe where the two countries' economic cooperation covers the widest areas and has expanded from just trade to joint ventures, sole investment, mergers and acquisitions. The two sides will sign a number of intergovernmental agreements and business contracts during the visit. More than 200 Chinese entrepreneurs will participate in the Economic Forum between China and Central and Eastern Europe. Fu said that China and Britain have an annual meeting mechanism of prime ministers and the meeting this year will be held in London, Britain. During the visit, Premier Wen will hold talks with Prime Minister David Cameron and pay field visits to a number of China-Britain cooperation projects. She mentioned that the visit has two objectives. First, promote pragmatic cooperation. China is implementing the "12th five-year" plan while Britain has formulated its development strategy for the next 5 years. Both countries are in the process of readjusting development and can learn from each other to accelerate common development. The visit aims at exploring new areas and ways of bilateral cooperation and stepping up collaboration in the fields of new and high-tech, finance and infrastructure. Second, enhance mutual understanding. Because of different national conditions, China and Britain may see the same problem from different angles. It is one of the major tasks for both sides to increase understanding and reduce misunderstanding. The two sides will also exchange views on the regional and international issues of common concern. Wang said that China and Britain are important trade partners and enjoy sound development of bilateral economic and trade relations. Britain is China's third largest trade partner in the EU, a major source of foreign direct investment in China and an important destination of China's investment abroad. China is Britain's second largest trade partner outside the EU. In 2010, the bilateral trade volume reached US$50.08 billion, better than that before the financial crisis in 2008. From January to April 2011, the bilateral trade volume was US$16.34 billion and the bilateral economic and trade cooperation maintains a sound momentum of growth. During the visit, the two sides will sign a series of intergovernmental agreements and business contracts. Fu noted that the two prime ministers agreed to comprehensively push forward China-Germany strategic partnership and establish China-Germany government consultation mechanism during their last two meetings. The main task of Premier Wen's visit this time is to launch the mechanism jointly with Chancellor Angela Merkel. It is the first time that China establishes this kind of mechanism with a foreign government and hence the mechanism has great importance to the bilateral relations. It proves the high level of China-Germany relations on the one hand and will stimulate China-Germany pragmatic cooperation in all fields on the other hand. 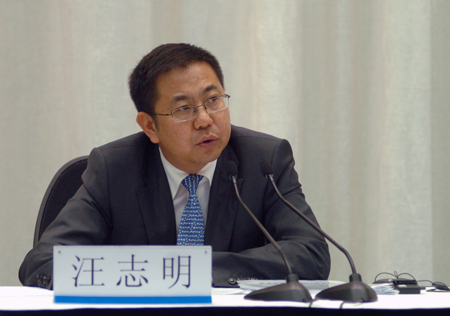 China believes that the government consultation mechanism will guide the all-round development of bilateral relations. During the visit, Premier Wen will also meet with President Christian Wulff and attend the sixth China-Germany Economic and Technological Cooperation Forum together with Chancellor Merkel. 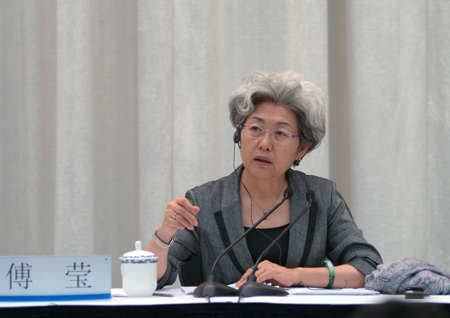 She stressed that China and Germany may not have identical views on all issues. But cooperation remains the mainstream of bilateral relations and the two countries can handle differences through dialogue in the course of development and promote the healthy growth of bilateral relations. Wang pointed out that Germany is China's biggest trade partner and source of foreign investment and technology import in Europe. China-Germany economic and trade relations have grown closer since the outbreak of the international financial crisis and continue to lead China's economic and trade cooperation with the EU members. In 2010, China-Germany bilateral trade volume reached US$142.4 billion, increasing by 34.8% and making up nearly 30% of China's total trade volume with the EU. By the end of 2010, Germany has invested US$17.2 billion in China and China has signed technology import contracts with Germany worth about US$51.4 billion. Since the beginning of this year, the bilateral economic and trade cooperation has maintained strong growth. During this first round of China-Germany government consultation, the two sides will set up new targets of economic and trade cooperation and exchange views on promoting the bilateral investment, the Doha round of negotiations and other issues of common concern. The economic and trade cooperation outcomes during the visit will cover automobile and parts, chemicals, machinery manufacturing, electronics, new energy and investment. Fu said lastly that China has high expectations of the visit and is making final preparations for it. She believes that Premier Wen's visit will achieve full success with the concerted efforts of both sides.